Will Russia deport civil liberties activist, Edward Snowden, to the U.S.? Russia’s possible extradition of former CIA employee Edward Snowden to the U.S. might benefit both sides. For starters, this would help Russia improve relations with the American government. Snowden’s Russian lawyer, however, says Moscow won’t use the whistleblower as a bargaining chip in a geopolitical game. The fate of Edward Snowden, the former U.S. intelligence officer, was not discussed during Moscow’s first contact with the new U.S. administration, said Kremlin press secretary Dmitry Peskov on Feb. 13. He added that Russian authorities had no opinion “whatsoever” as to whether to grant Snowden Russian citizenship, or extradite him to the U.S. “This issue is currently not at all on the bilateral agenda,” said Peskov. Kucherena pointed out that Snowden has a Russian residence permit and abides by all local laws. If he wishes, he can apply for Russian citizenship in the next couple of years; to be eligible an applicant must live in the country for at least five years. On Feb. 10, NBC TV reported that U.S. intelligence services had obtained information suggesting that Russian secret services were considering extraditing Snowden to the U.S. as “a gift” for President Trump. Snowden said the NBC report was proof that he had never cooperated with Russia’s Federal Security Service (FSB) because that spy agency would never surrender one of its agents. Sergei Sudakov, a professor at the Academy of Military Sciences and an expert in American Studies, sees the Snowden case as an issue where Russia can have a dialogue with Trump. He said U.S. intelligence agencies, including the NSA, are constantly modernizing their cyber capabilities, so most everything that Snowden took from its depths is now probably outdated. “Largely speaking, Snowden means nothing to Russia now, and the country is preoccupied with its main global interests,” said Sudakov. If Russia decides to extradite Snowden as a gesture of goodwill, it will need to do so in such a way as to maximize benefits. "Trump can try to outmaneuver Russia, to get Snowden back from us and show what a cool guy he is – how he managed to do something Barack Obama failed to do,” continued Sudakov. “And in that case Trump might just thank Russia for Snowden’s extradition and leave it at that, promising to lift the sanctions only after Crimea is restored to Ukraine." Sudakov advised that Russia should at least demand from Trump that he immediately lift those sanctions that can be lifted by presidential order. In 2013, Snowden leaked to major media classified NSA information relating to a U.S.-run illegal surveillance program. 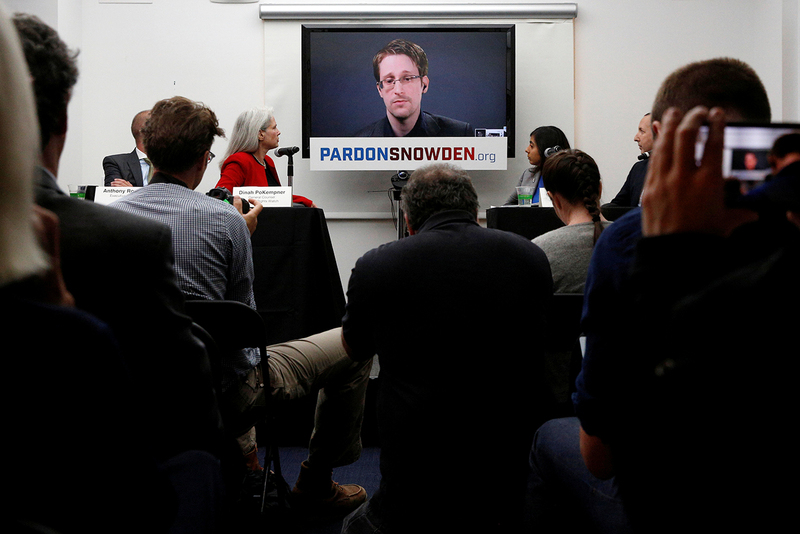 The U.S. charged Snowden with espionage and theft of state property. The former NSA employee fled the U.S. to Hong Kong, and then to Russia, where he received temporary asylum in 2013, and then a residence permit, which was recently extended to 2020.